Agartala, Jul 7 : Aiming to ensure smokeless cooking gas to kitchens in Agartala, Tripura Natural Gas Company Ltd (TNGCL) has set a target of supplying piped natural gas (PNG) to 10,000 new households by March 2016. 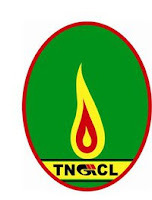 TNGCL had already connected more than 20,000 households in Agartala with PNG. "If we replace all Liquefied Petroleum Gas (LPG) cylinders with PNG in the city, the cylinders can be distributed in the villages where women are still cooking with firewood," said Jitendra Choudhury, chairman of Tripura Industrial Development Corporation Ltd (TIDC) and Lok Sabha MP. He added that TNGCL is a joint venture of TIDC, a government of Tripura undertaking, and AGCL is a government of Assam undertaking. Since 2005, Gas Authority of India Ltd (GAIL) is also a major shareholder to facilitate the implementation of Compressed Natural Gas (CNG) in the transport sector of the state. Agartala became the first city in eastern India in 2010 when conversion of vehicles to CNG was launched. It was targeted to convert all vehicles to CNG by 2013. But non-expansion of CNG filling stations is the reason why it did not happen yet, said Choudhury. He however, pointed out that besides PNG connection to kitchens, more than 5000 auto-rickshaws and over 1,500 other vehicles, including buses, were being fitted with CNG kits mostly in Agartala and Udaipur. "Due to insufficient flow of gas in northern and southern parts of the state, TNGCL is not being able to expand the network of CNG filling stations. ONGC is exploring new gas fields to enhance performance of the existing wells," added Choudhury. Besides household connections, TNGCL has already provided PNG connection to 300 commercial business centers and 47 factory units in the Bodhjungnagar industrial area on the outskirts of Agartala. To cater to the increasing number of CNG vehicles, the company has set up a main CNG refilling station at Udaipur in South Tripura.